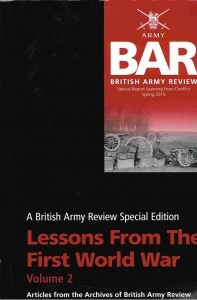 There are two volumes of The British Army Review Special Edition – Lessons from the First World War, published in 2014. 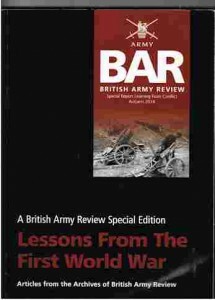 These are articles from the archives of the British Army Review. 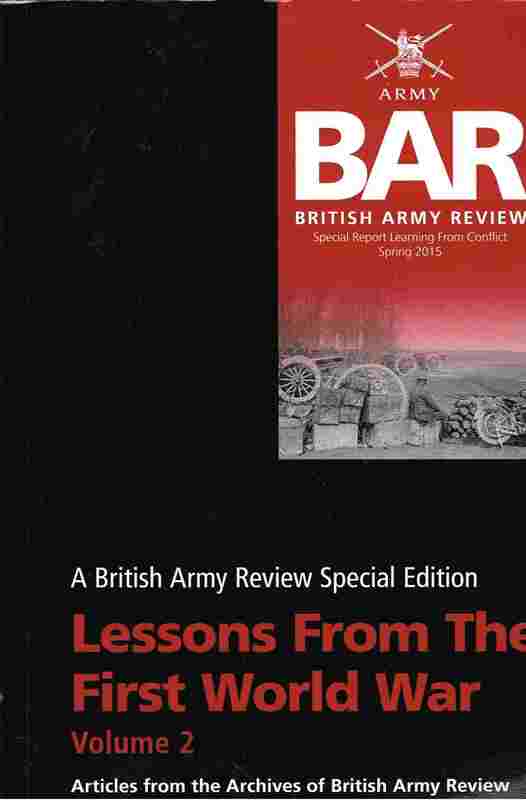 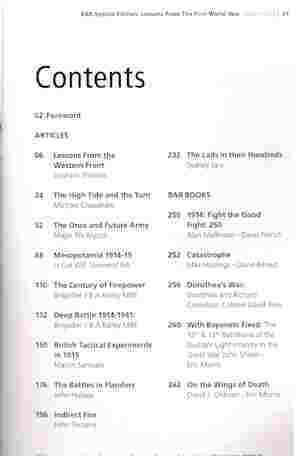 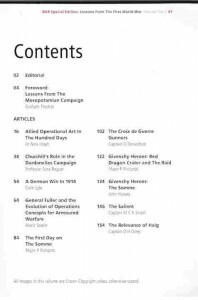 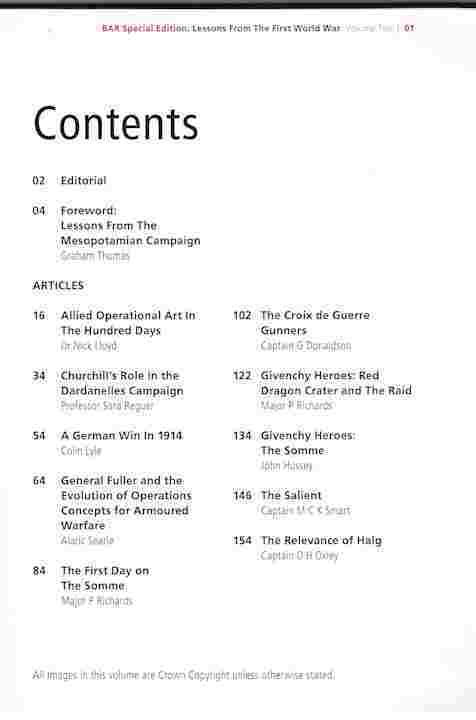 Contact the British Army Review for copies of these articles.